There are many design and marketing companies, so what makes Tier stand out? Our clients achieve success and stay with us. 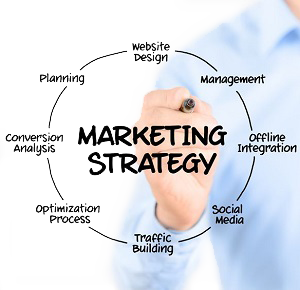 Tier Strategies has created and marketed over 350 sites since our start in 2003. Our consultants are Google certified, and we are constantly learning and improving our skill sets. Most importantly, we work on our clients' marketing daily. Practical experience is the best teacher. Success doesn’t come instantly, though many companies promise it. We believe a well-thought-out plan that is monitored and adjusted monthly should show measurable results within just a few months. Marketing done properly builds momentum. Top rankings, high social interactivity and buzz are great, but unless your marketing is generating a measurable return, it isn’t delivering. Tier continually monitors and improves your marketing performance, boosting your conversion rate monthly. Perhaps the key value Tier Strategies provides are personal relationships. Our goal is to help your business grow. We maintain monthly communication to gauge the success of your campaigns. To us, this relationship building is a critical ingredient to your marketing success. Tier's core values will show through our work and the results you see in marketing. Call 615-251-0220 or email us to discuss your project and determine if Tier Strategies is the company for you.